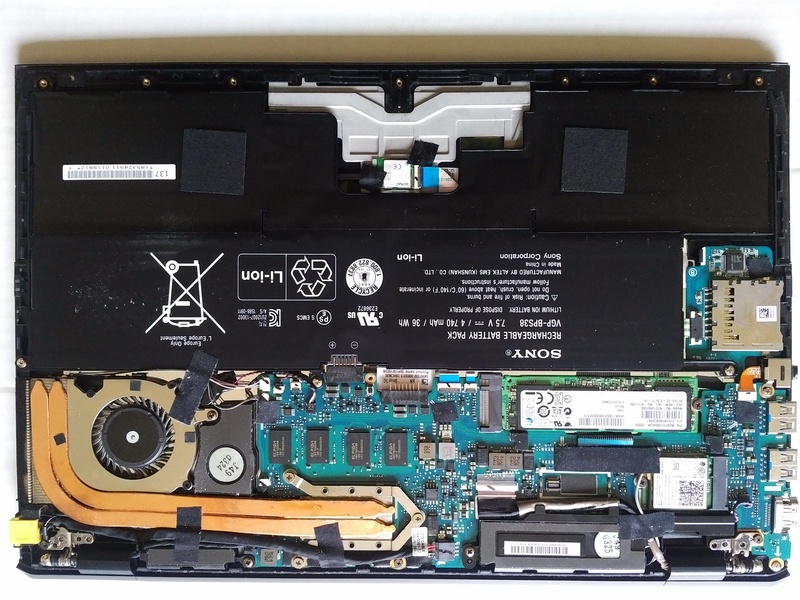 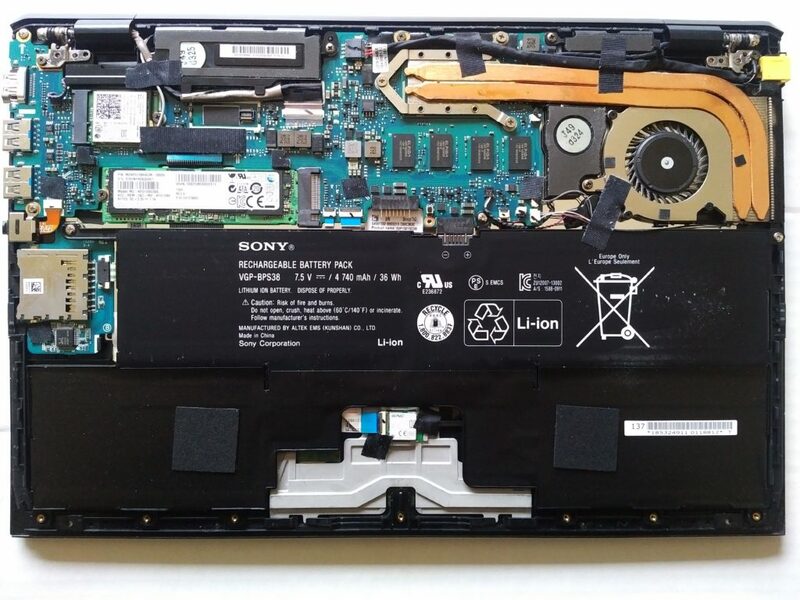 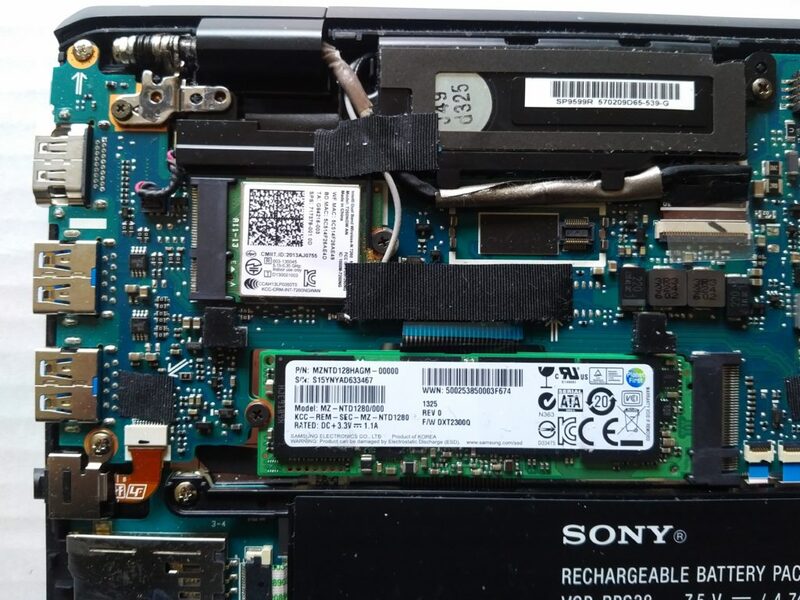 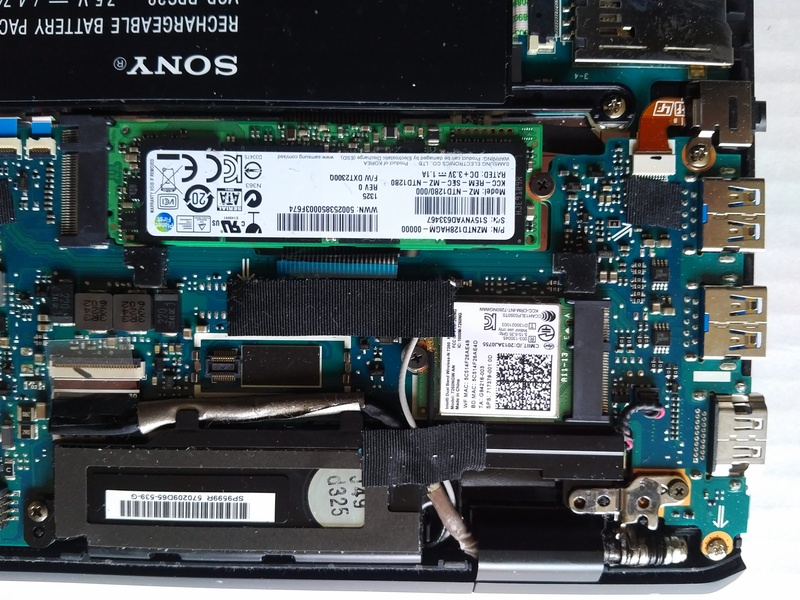 There aren’t any high resolution images of the Sony Vaio Pro 13 internals, so I thought I would post them since the fan started making rattling noises. 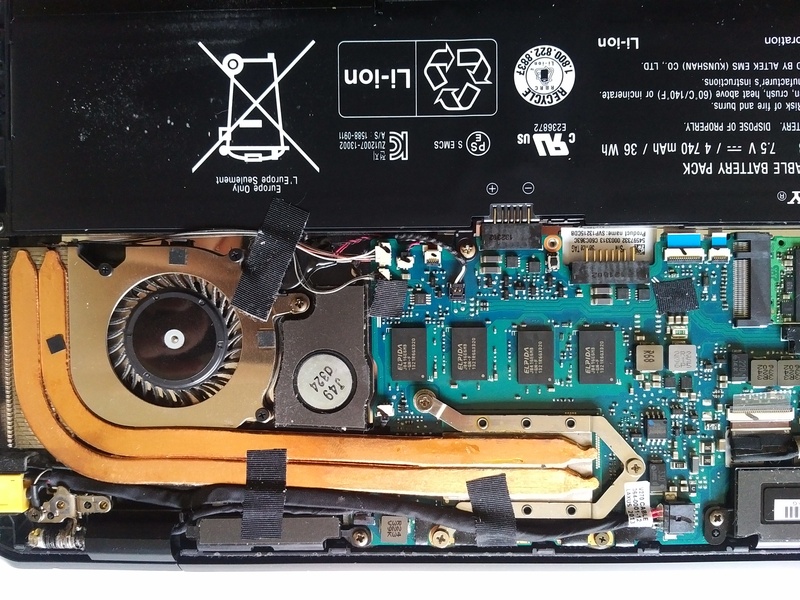 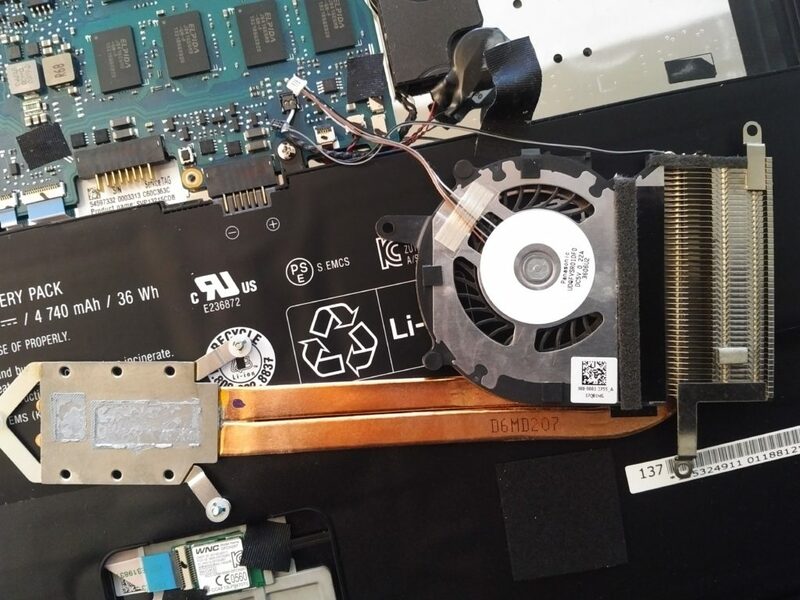 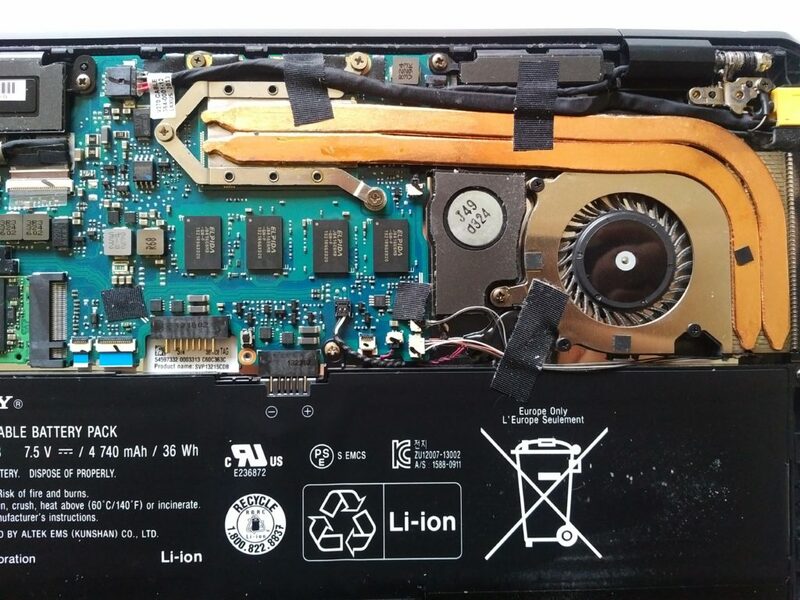 One of the reasons I discovered the fan developing the noise is that the fan actually draws air from the air gaps in the keyboard – meaning it is game over if any liquids are spilled on it. 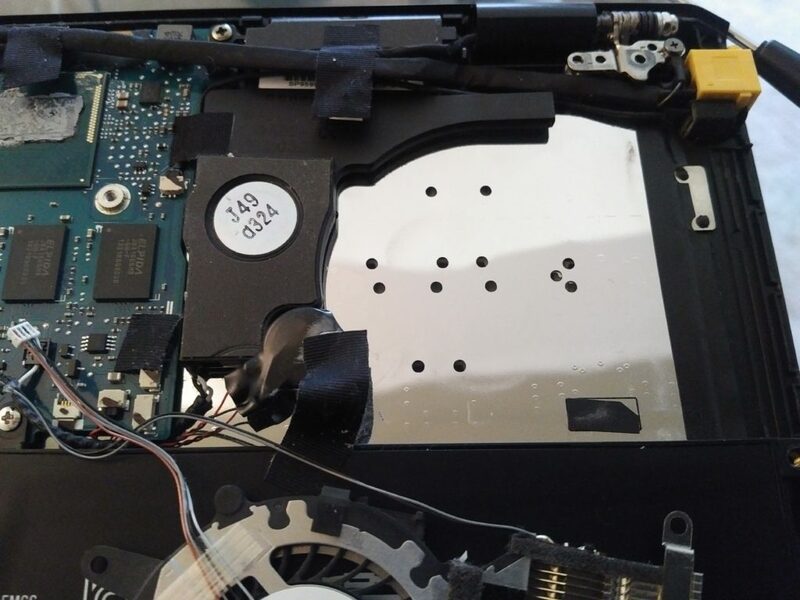 The repair itself was rather simple – disassemble the fan unit, vacuum all the dust, remove the rotor, lubricate the sleeve bearing, replace the thermal compound, and restore everything. 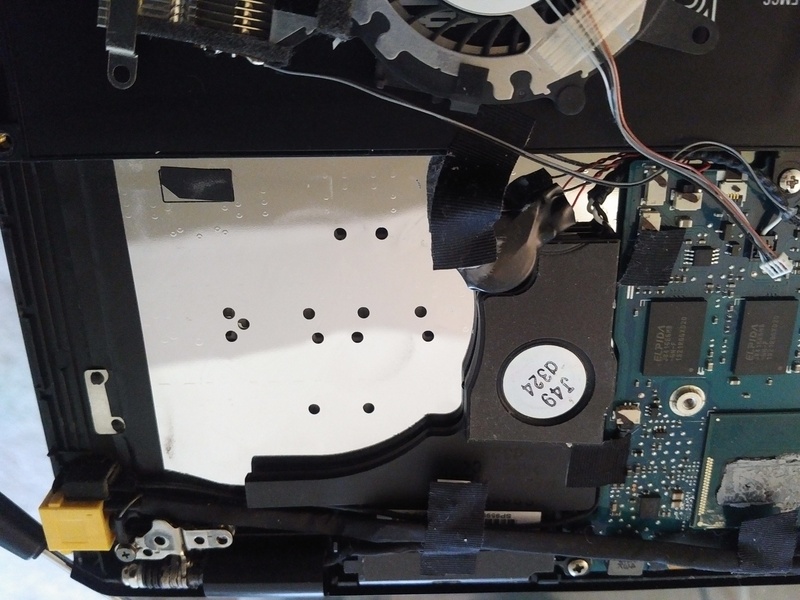 The rotor can be forced off by carefully prying it from the back side through the intake openings.